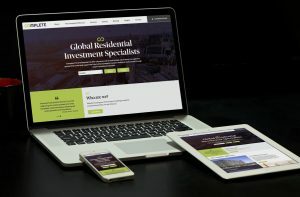 MediaCityUK agency Upp B2B - which formed following the recent merger of Marketecture and Clock Creative - has unveiled a new website for global property management company, Complete Prime Residential. Upp B2B won the competitive pitch to recreate the brand and web presence of Complete, which has a footprint in 13 international residential property markets and offices in London, Manchester, Berlin, Hong Kong and Kuala Lumpur. "Upp B2B was the right choice for us as they offered the perfect balance of creativity and sound digital thinking,” said Benjamin Hamilton-Rhys, marketing and communications manager at Complete Prime Residential. As part of the project, Upp B2B's development team also managed a complex integration of Qube software, a property management platform used by the likes of Rightmove and Zoopla, to equip the website with a granular level of property search functionality. "This was a great opportunity for our design and development teams to show their combined capabilities. Providing truly engaging web experiences is more important for brands than ever before and we’re confident this new website will help Complete extend its global reach online," said Andy Sweeting, digital director at Upp B2B.